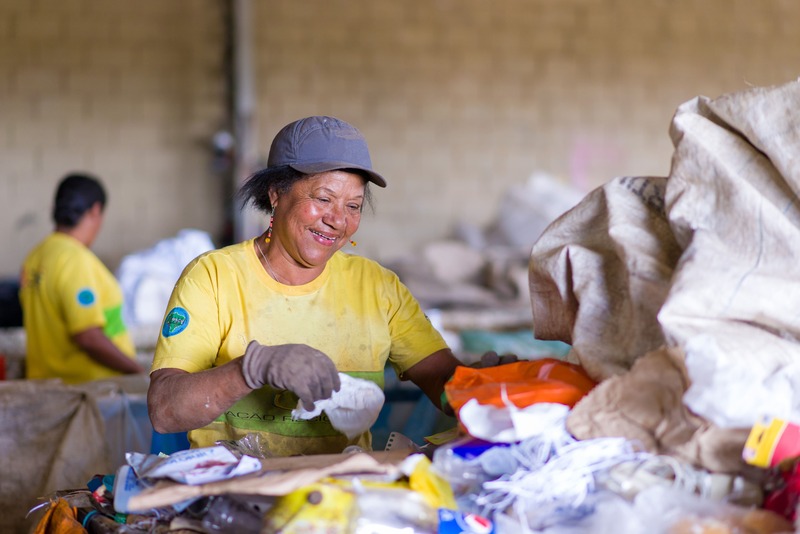 While Brazil faces significant problems in waste management, most waste pickers work in the informal sector without any recognition or social protection. The Government is encouraging initiatives to improve their working and living conditions while also imposing stricter waste management and resource recovery rules on companies. Danone is adopting a socially innovative approach to comply with the new Brazilian waste law while managing the end of life of its products. With the support of the Danone Ecosystem Fund, Danone Brazil and its partners Fundación Avina, the Initiative for Inclusive Regional Recycling (IRR) and the Nenuca Institute for Sustainable Development (INSEA), and working with the local authority, the Novo Ciclo project tackles the national issue of waste management and supports the emergence of entrepreneurs specialized in waste management. The project aims to professionalize waste pickers through the creation of waste management centers, the setting up of sale and resale cooperatives, the implementation of smartphone technology to support the management of these cooperatives and the offer of management training to help waste pickers manage their own business independently. The project consolidates networks of cooperatives in different regions of the country. It is also investing in innovation to build a circular economy for polystyrene, the material from which yogurt cups are made. As well as consolidating existing jobs, Novo Ciclo creates new ones in a safer working environment. It raises awareness about both the importance of waste management and conditions for waste pickers, while Danone Brazil develops its rPET and second life polystyrene industry through the development of sustainable waste management practices.